If 2017 is the year streaming TV comes of age, Amazon looks poised to be its chaperone. 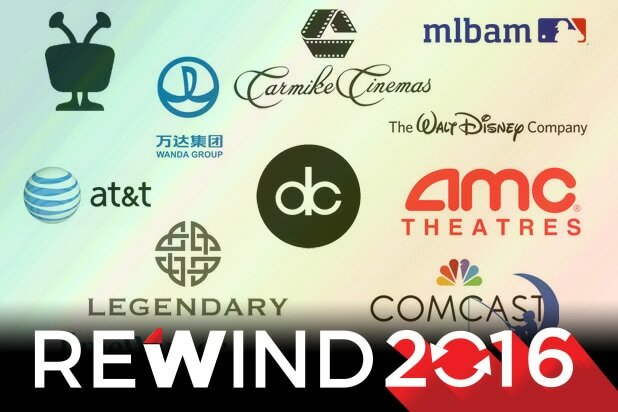 At the opening media event of the annual Consumer Electronics Show on Tuesday, TheWrap came across two booths displaying similar-looking ultra-HD 4K smart TVs. One was from 130-year-old American brand Westinghouse, and the other from a relative startup called Element Electronics. But under the hood, they were both powered by the same Amazon engine: its Fire TV interface and Alexa smart voice assistant, which also works with pretty much every other smart home product, making it almost too convenient for the many smart TV owners who also have internet-enabled lights and appliances. Other competitors are hardly deferring to Amazon — Dish Network’s Sling TV is unveiling its AirTV Player peripheral this week, which blends a streaming box with an over-the-air receiver. But when streaming TV comes to conquer Hollywood — and content empires from Disney to AT&T are preparing for it — it might be dressed in Amazon’s anthropomorphic smile. Easy controls can make or break streaming TV for convenience-minded cord-cutters. Netflix is a prime example of an interface that’s simple and smart, but it won’t give you access to linear television and Amazon will. Sung Choi, the vice president of marketing for Element’s Chinese parent Tongfang Global, told TheWrap that after an exhaustive study of options, no interface proved better than Amazon’s dashboard. 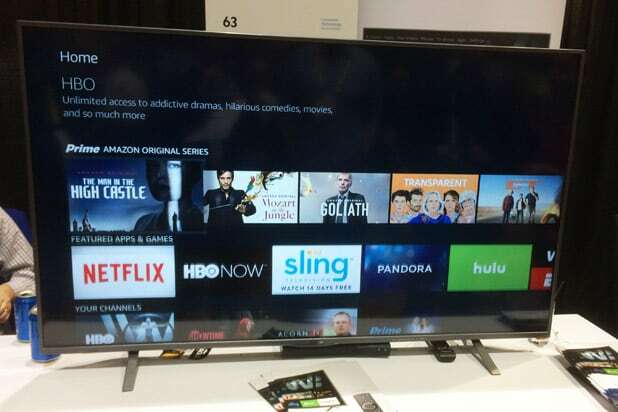 “The user experience that’s the best is Amazon’s Fire TV,” Choi said. Although Amazon requires the use of a premium subscription Prime account to access its Prime Video and Prime Music libraries, that’s not the case for people who want to use Fire TV as a dashboard to watch Netflix, some other streaming service — or even over-the-air TV, which has been a missing link in many internet-based skinny bundles. But the Westinghouse and Element TVs need only a digital antenna to receive those channels and automatically incorporate them into the Fire TV’s channel guides and discovery dashboard to allow users to channel surf in a civilized manner. “It allows you to browse over-the-air content added to the same interface,” Brett Hunt, a vice president of sales and marketing at Westinghouse, told TheWrap, while scrolling through a tiled display showing what was currently on the Las Vegas NBC and PBS stations. Choi said Element plans to roll out four screen sizes ranging from 43 inches to 65 inches, all priced under $1,000. Hunt couldn’t share pricing data for Westinghouse’s new smart TV, which launches in May, in the same four sizes. While Smart TV adopters and developers in these early days of cord-cutting are still figuring out exactly what features are must-haves, Hunt said one has already emerged as indispensable: voice search and control. And again, Amazon’s Alexa has become the voice interface of choice. Alexa made its splashy debut as the brains behind Amazon’s Echo robot speaker, so it’s designed to interact with content in a more sophisticated and intuitive way than some other voice controls (like understanding what to play when asked for “Frank Sinatra” Christmas music). But as the smart home becomes as de rigeur as residential internet service is today — the best product TheWrap saw at Unveiled may have been a shower that lets you know when it’s hot and can hold that temperature if you need to pause it to answer the phone — an Alexa-equipped TV is the obvious control center for people who don’t necessarily want to buy another peripheral. Software is eating everything, including TV. And with its Fire TV looking like the industry standard right now, Amazon may have the secret sauce.